MILTON – You can get your tickets now for an new fundraising drum corps competition. 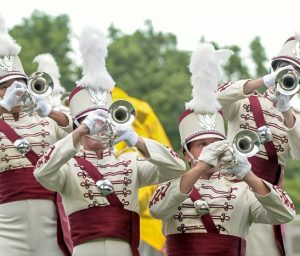 “Sounds on the Susquehanna” is Saturday, June 23 at 7 p.m. at the Milton High School Alumni Stadium. Organizers say the event will feature some of the leading drum corps in the east. Those bands include The Reading Buccaneers, White Sabers, and the Fusion Corps. Also, the Cadets Two, Erie Thunderbirds in Exhibition, and Hawthorn Caballeros Alumni Corps. Additionally, the Reilly Raiders and special guests Appalachian Gold will all perform. All reserved seating is $22 and profits go towards the Milton High School Panther Band Boosters. Find complete information at soundsonthesusquehanna.com.